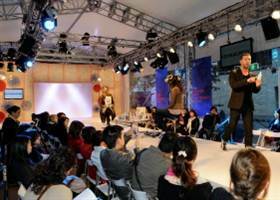 With all the professional styling advice going around during Melbourne Spring Fashion Week (MSFW), Lionel's Melbourne is primed to become a giant catwalk of beautiful people! 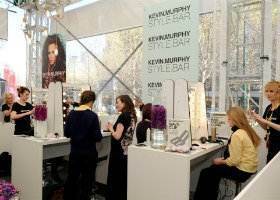 Thanks to Kevin Murphy, official hair partner of MSFW and the world leaders in hair beautification, Melburnians and visitors will receive free advice and expert tips to make the best of their manes. Legendary Kevin Murphy stylist James Furness and his team are also recreating the signature runway styles in a series of 'how-to' workshops that can help you look like the 4 faces of MSFW. 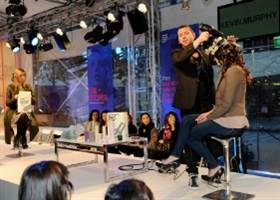 Kevin Murphy is presenting 4 free ways to help you achieve fashionable runway-ready hair every day. Open daily from 3 to 9 September in City Square, salon stylists team at the Style Bar will look at your hair and tell you what products work best. 2) Breaking Waves – Learn how to create effortless texture for day that you can glam up for day or night on Wednesday 5 September at 5:40pm. 3) Stitch Me Up – Say goodbye to pins forever! Learn how to sew your hair up like a pro on Friday 7 September at 2pm. 4) Make Me Racey – You will learn how to stand out from the crowd this race season with or without a hat on Sunday 9 September at 2pm. Why? 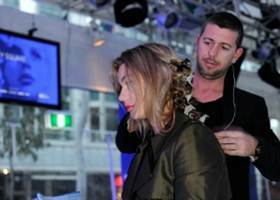 Thanks to Kevin Murphy, Melburnians and visitors will receive free advice and expert tips to make the best of their manes and learn about the signature runway styles in a series of 'how-to' workshops.